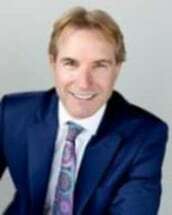 Michael Schultz is a founding partner of the law firm of Sommerer & Schultz, PLLC. This is his thirteenth consecutive year on the SuperLawyers list. Mr. Schultz is an experienced litigator, representing individuals throughout Minnesota with work, automobile, and disability Claims. Mr. Schultz is an educator and a frequent lecturer in the areas of Minnesota Workers' Compensation and Personal Injury. Mr. Schultz's clients are from all walks of life, from migrant workers to professional athletes including such Minnesota Vikings favorites as Chuck Foreman, Mike Morris, and Paul Krause. Mr. Schultz has a reputation among attorneys and clients a like as a tireless advocate.